Peru startles with its variety – parched coastal desert, jagged Andean peaks, lush Amazon rainforest. 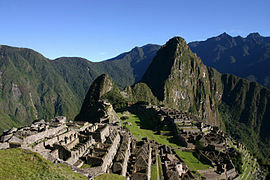 Its rich culture runs the gamut from sophisticated Lima to traditional weaving villages and mist-shrouded ancient ruins. Less a lake than a highland ocean, the Titicaca area is home to fantastical sights, but none more so than the surreal floating islands crafted entirely of tightly woven totora reeds. 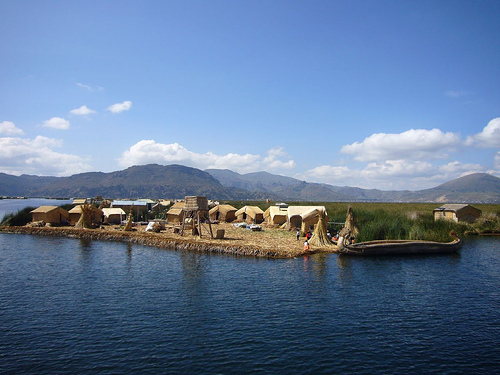 Centuries ago, the Uros people constructed the Islas Uros in order to escape more aggressive mainland ethnicities, such as the Incas. The reeds require near-constant renovation and are also used to build thatched homes, elegant boats and even archways and children’s swing sets. See this wonder for yourself with a homestay visit that includes fishing and learning traditional customs. The dramatic peaks of the Cordillera Blanca stand sentinel over Huaraz and the surrounding region like an outrageously imposing granite Republican Guard. The range is the highest outside of the Himalayas, and 16 of its ostentatious summits breech 6000m, making it the continent’s most challenging collection of summits-in-waiting. Glacial lakes, massive Puya raimondii plants and shards of sky-pointed rock all culminate in Parque Nacional Huascaran, where the Santa Cruz trek rewards the ambitious with a living museum of razor-sharp peaks. Traverse three climatic zones from rearing Andean mountains to mist-swathed cloud forest on the lower slopes en route to the bowels of the jungle in Parque Nacional Manu, the Amazon’s best adventure. Manu has long been Peru’s best-protected wilderness, brimming with opportunities to see fabled jungle creatures such as the anaconda, tapir, thousands of feasting macaws festooning clay licks with their colours, and jaguar. In this deep forest, tribespeople live as they have for centuries, with barely any contact with the outside world. This is an edited extract from Lonely Planet Peru (8th Edition) by Carolyn McCarthy, et al. © Lonely Planet 2013. In stores now, rrp $36.99.